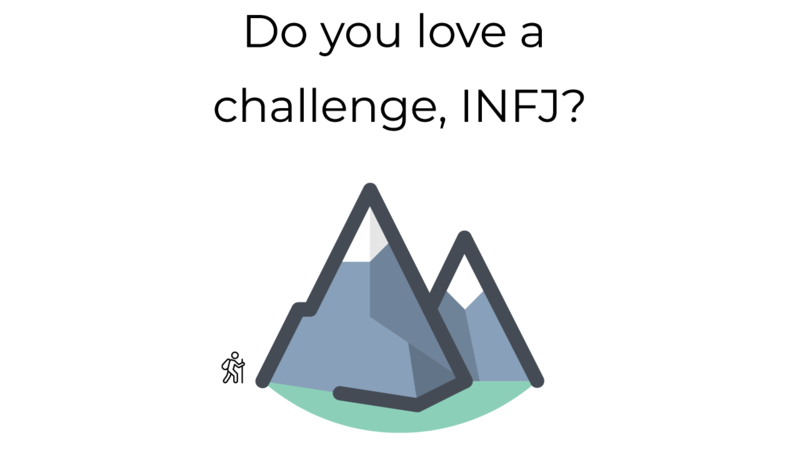 Do you love a challenge, INFJ? Are you happiest when you’re challenged? I’ve heard from several INFJs lately that they enjoy a good challenge, and reflecting on my life, I do too. Granted, the challenge has to be the right kind. But I wonder if this isn’t also the case for you? 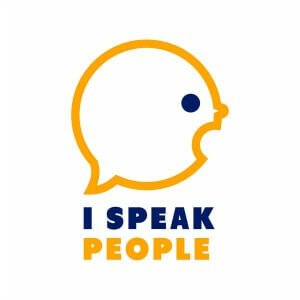 So what do INFJs look for in a challenge, why do they need one, and what problems does this appetite produce? Any number of obstacles and difficulties challenge us. Many of them drain us, but some motivate us. Draining challenges are the ones that interrupt our lives, sap our energy, and wreak havoc. Strained family and work relationships, negative interactions with strong personalities, excess details in our lives (e.g. overlooked bills, popped tires, house repairs, etc. ), and medical emergencies are a few examples. Some challenges, however, inspire and excite. Studying new theories (linguistic, musical, theological, philosophical, social, psychological, and so on), coming up with innovative, never-been-done-before solutions at work, learning to play instruments, exploring the natural world in depth – these are the sorts of challenges that capture our imagination and time. We launch into them headlong, sometimes forgetting to eat or use the bathroom until our senses wrest our attention. And we’re drawn to various kinds of intuitive thinking. For instance, we may dive into philosophy because we want to answer the deep why questions of life. In this pursuit, we combine Ni and our tertiary function – introverted thinking (Ti). The Ni-Ti combination is exceptionally comfortable for many of us because it gives us the chance to operate in our favorite world – our minds. There, we mull over the deep problems of life without interruption. Another of intuitive thinking is born of Ni and extroverted sensing (Se). The appeal of this combination is the reason many of us get into sensory arts, such as painting, sculpting, photography, dance, and the like. We want to express our visions in unique ways, and even though Se is our inferior function and one that often plagues us, it, at the same time, is somewhat irresistible. We love beauty, visual arts, music, and exotic climes. When we’re learning something new, especially when it’s something that tickles our Ni, we tend to be happy people. Give us the chance to immerse ourselves in the Ni world and we lose track of time. We’re doing what we were born to do, functioning in our flow state. As intuitives, we love to learn, research, and master new skills. So when we start something new, we dive in enthusiastically, soaking up as much as we can. And we keep on working, even when we encounter obstacles and have a hard time finding solutions. We’re delighted to be using the best-developed part of our personality. Unfortunately, no new thing ever stays novel forever. The nature of exploration is that it invariably moves us from place to place. Even the most complex theory, interesting skill, or stimulating idea can be plumbed to its depths (with a few exceptions…). The pattern I see in my own life, and in others, is that I tend to stick with something for about two to three years – sometimes longer if what I’m studying or researching is more complicated – and then I lose interest. Once I begin to wrap my mind around a subject and it becomes monotonous, I feel an urge to move on. Routine skills, concepts, and ideas carry little appeal. The challenge, then, is always needing a challenge. This upsets many of the sensors with whom we rub shoulders on a daily basis. They thrive on routine, tradition, and the familiar and have a hard time understanding our need for novelty. We also have to wrestle with the tension of wanting some level of security that a steady job can provide but still hungering for the “next new thing” that will capture our interest and stimulate the best-developed part of our personalities. This, no doubt, adds to the difficulty of the perennial INFJ quest for the perfect job. We can start in one field that we’re sure we’ll love and end up feeling like it’s time to move on just a few years later. But should we move on? A lot depends on you and your specific circumstances. And other solutions to the problem are available. When you feel like moving on to something new but think it might be better to stay, one of these alternatives may help. 1. Try tackling a new angle of your chosen interest. Bloggers often do this by starting a podcast or creating videos: They share the same ideas but vary the medium to mix things up. How could you work with the same content or ideas but change up your approach? 2. Seeing endurance as a challenge in and of itself can help too. Since I noticed my appetite for change, I’ve tried to stick with my interests for longer than two years. Dave Ramsey, in Entraleadership, points out that anyone who sticks with a major life change, project, or endeavor for a year will change personally. But people who commit to something for ten years or longer may change the world. How long can you hang in there? Becoming an expert often means saying NO to a lot of other good opportunities. 3. Finally, combine your interests. Mash up the various disciplines you’ve studied and investigate the ways they interrelate. This kind of synthesis requires out-of-the-box, innovative thinking – the kind at which you excel – but it also allows you to work with much of what you’ve already learned. How do you wrestle with the urge to start something new?